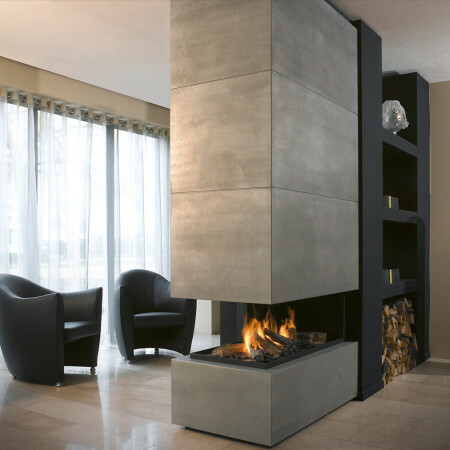 This simple and elegant ceiling hung fireplace with its ceiling hung canopy provides a wonderful four-sided view to the flames. The suspended canopy, comprising mainly of glass means that visual and light fluidity is maintained. 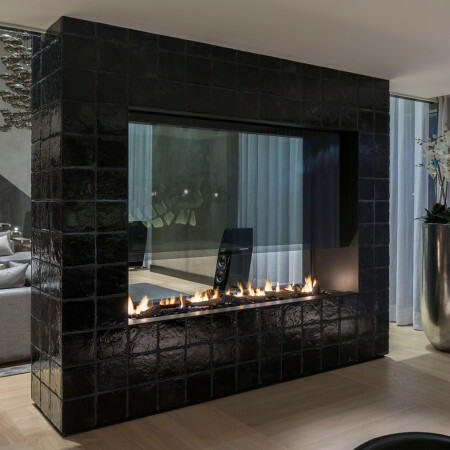 This ceiling hung fireplace is an ideal design to break up an open space and create a year round design statement as well a cosy focal feature. Like all the suspended fireplaces in the collection, the fireplace is custom designed and made to fit between the floor and ceiling. Colours, materials and finishes can be chosen by the client to achieve the finished look and feel that is personalised to the individual. 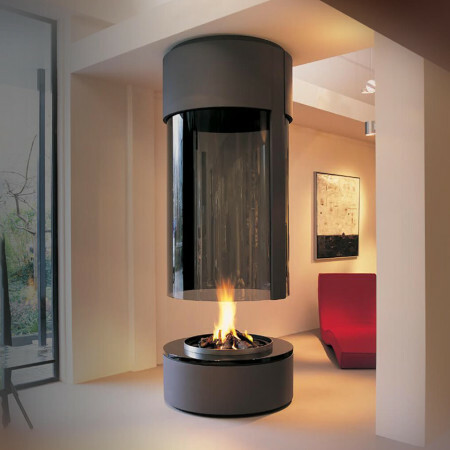 Speak to a design consultant to see how a suspended fireplace could be incorporated into your project.